Parents teach their children not to talk to strangers, password protect computers and tablets, and keep their children’s Social Security numbers safe, all in an effort to protect their child’s privacy. However, when a child is in school, are the right measures being taken to protect student data? Schools are increasingly integrating technology into the classroom, and while technology can bring great reward, it can also bring great risk. Whether it’s an app or online portal, students are being asked to hand over personally identifiable data, and data security measures aren’t always clear. 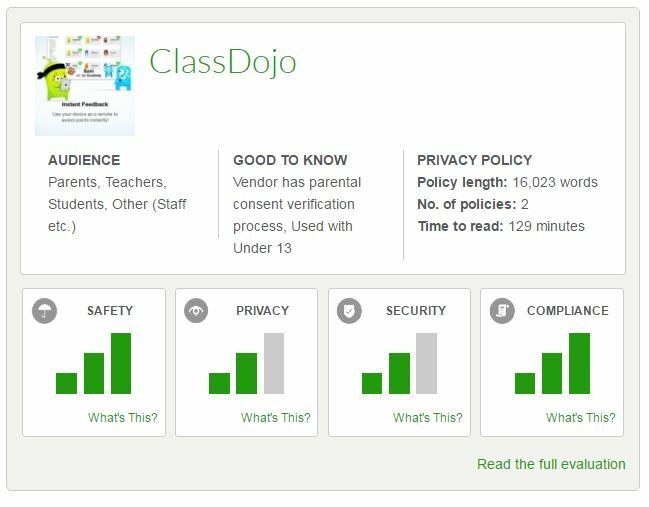 Common Sense Education (CSE), a division of Common Sense Media, is hoping to clarify which educational apps are protecting student data and which ones are lacking. In 2014, Common Sense Education was approached by a group of CIOs and instructional technology directors representing eight major urban school districts around the country. The CIOs and instructional technology directors, who represented more than 2.3 million students, were responding to concerns from parents and school boards about students using digital tools in school for which clear privacy information was not readily available. Step 1: Retrieve privacy policies. Step 2: Complete transparency review. Step 3: Complete qualitative evaluation. Step 4: Highlight the qualitative responses that best demonstrate both the strengths and concerns of the app regarding privacy and security practices. Step 5: Prepare a summary evaluation that highlights how the app manages privacy and security in these categories: Digital Footprint, Advertising and Data Profiling, Information Security and Data Breaches, and Legal Compliance.